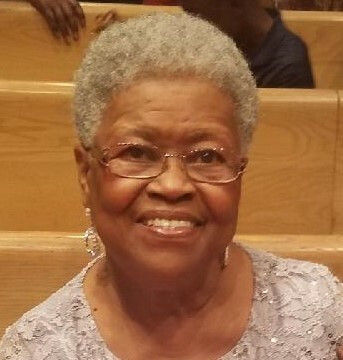 Carolyn V. DeLoatch went home to be the with the Lord on Thursday, March 28, 2019 at the age of 72. She was born on January 12, 1947 to the late Charlie and Virginia Spencer. She graduated from Booker T. Washington High (Class of 1964), Norfolk, Virginia. Carolyn was a member at Bethlehem Baptist Church in Norfolk, Virginia and previously served on the Senior Usher Board. She was a devoted Mother, Grandmother, and Great Grandmother. Carolyn enjoyed spending time with her family, the sound of the slot machines, and good old – fashioned southern cooking that always included our favorites; pig feet, pig tails, fried chicken and fish. Carolyn was preceded in death by her husband, Reverend William DeLoatch; a brother, Charlie Spencer, Jr. and grandmother, Georgia Spencer. Carolyn leaves to cherish her memories; sons, Curtis Dixon, Jr. (Gwendolyn), Darryl Dixon (Norine) and William DeLoatch, III (Danielle); daughter, Crystal Hill (Robert); sister, Linda Cannon; step-sons, Wallace DeLoatch, Walter DeLoatch, Winston DeLoatch and Wendell DeLoatch; step-daughters, Delores DeLoatch, Geraldine DeLoatch, Portia Seagraves; 12 grandchildren; 14 great grandchildren; special friends, Artis Forbes, Jackie Richardson and a host of nieces, nephews, cousins and friends. She will be missed by all her knew her. Condolences are sent to the DeLoatch family for the passing of your loved one. May the peace of our Lord and Savior give you much comfort and reassurance that she is resting in the arms of Jesus. To the family of Carolyn Spencer Deloatch, my family and I are sending our heartfelt condolences in the passing of your love one. “Earth has no sorrow that heaven can’t heal” We are praying your strength during and after your bereavement hours. “To be absent from the body, is to be present with the Lord”. Nana, you will be missed. Pray my family finds peace during this time of mourning. We the Lee Family would like to express our deepest sympathy. We pray for comfort and peace during your time of grief.